​​Leadership is neither a buzz word nor a short-lived trend, but rather its significance has transcended over time and remains relevant to this day. Leaders from all over the world have been engaging with the theory and practice of leadership to help make sense of the complexity and turbulence that now define our environment, and to help them act with clear purpose, intelligence and relentlessness to address critical societal and organisational challenges. 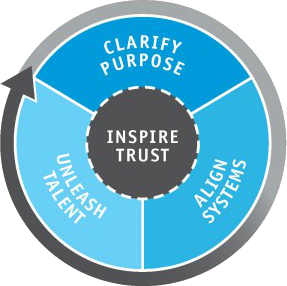 The ultimate goal of FranklinCovey’s leadership solutions is to help leaders discover how to unleash the contributions of their teams toward their organisation’s critical priorities, and create a work environment where individuals want to devote their best efforts. More than just your average leadership training programme, Leadership: Great Leaders, Great Teams, Great Results™ helps your leaders discover how to inspire trust and build credibility with their people, define a clear and compelling purpose, create and align systems of success, and unleash the talents and energy of a winning team. Leaders spend their efforts creating a place where people want to stay and contribute their best effort, time and time again, helping your organisation achieve its most critical priorities. Pre-work to help you prepare for the experience, including defining a personal leadership challenge or opportunity you want to focus on. An experiential training experience featuring over 30 award winning videos. 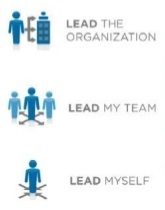 A Leadership Quotient® (LQ) assessment to measure your leadership capabilities against the 4 Imperatives of Great Leaders. A full set of electronic tools, videos, and other resources to help you implement what you’ve learned and achieve new levels of results when you return to your organization. 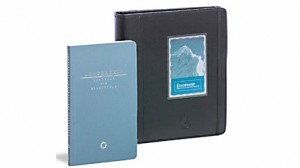 Exclusive access to online leadership training tools, expert interviews, and other resources at www.leadershipcontract.com. This one-day leadership development workshop is ideal for high-potential individual contributors, project leaders, and informal leaders. With an introduction to the 4 Imperatives of Great Leaders, participants acquire knowledge and skills to help them make a greater contribution as they grow with the organisation. The Leadership Modular Series provides today’s management leaders a new mind-set, skill set, and tool set for leading individuals—and 21st century organisations—to greatness. The series comprises seven stand-alone training and development modules, each of which teaches a specific set of imperatives that leaders can apply immediately, to create a work environment that addresses the needs of the knowledge worker. The 7 Habits form part of our core leadership offering because it enables individuals to develop leadership skills at the individual level. Based on the proven principles found in Dr. Stephen R. Covey’s best-selling business book, The 7 Habits of Highly Effective People® Signature Edition 4.0 is training that helps your organisation achieve sustained superior results by focusing on making individuals and leaders more effective. Participants gain hands-on experience, applying timeless principles that yield greater productivity, improved communication, strengthened relationships, increased influence, and laser-like focus on critical priorities. The three-day course also includes over 30 award-winning videos. 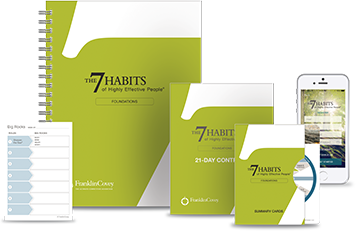 In the 7 Habits of Highly Effective People Signature Edition 4.0, participants learn how to: take initiative, balance key priorities, improve interpersonal communication, leverage creative collaboration, and apply principles for achieving a balanced life. 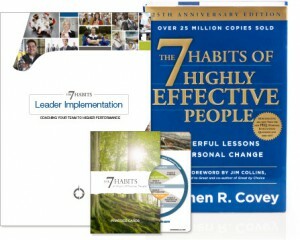 Participants not only learn, but also use processes and tools to live and apply the 7 Habits. Pre-work required: The 7 Habits Assessment – A questionnaire to help you consider your own effectiveness and give you the opportunity to see the viewpoints of others. This question assessment is an opportunity to assess yourself and to gather feedback from your manager, direct reports and peers who work closely enough with you to accurately assess your individual effectiveness. If you’ve incorporated the 7 Habits into your thinking, you already know the transformational impact they can have on your life and job—but how do you translate these principles to your team? This 1-day workshop has been specifically developed to support the implementation of The 7 Habits of Highly Effective People® in work teams, divisions and organisations. It is based on extensive global research with clients who are highly successful at implementing the 7 Habits in their businesses. 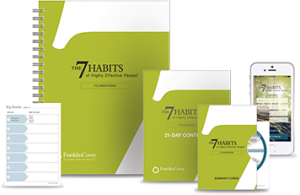 You will acquire tools and a 3-step process to make the 7 Habits the practical operating solution for work. You’ll also get guidance for coaching your team to a higher, more synergistic level of performance that truly reflects the 7 Habits. In this one-day introduction to the 7 Habits of Highly Effective People: Signature Edition 4.0 content, participants learn principles that enable them to achieve greater success. It introduces foundational principles, paradigms and practices of the 7 Habits, and is particularly suitable for frontline to mid-level workers. Participants discover how to maximize performance and reach career goals by avoiding both dependence on others, and moving on to where real success lies—being interdependent. This allows them to experience first-hand the rewards of superb cooperation and collaboration. Foundations specific version of the Living the 7 Habits app – developed to support ongoing learning and implementation of the 7 Habits.